Germany's lower house of parliament, the Bundestag, has voted in favor of declaring four additional countries "safe countries of origin." However, the Bundesrat, the upper house, still has to ratify the decision. The addition of Tunisia, Algeria, Morocco and Georgia to list of safe nations is not without controversy. The latest changes to Germany's list of "safe countries of origin" have passed the first hurdle, with 509 members of the Bundestag voting in favor of the motion and 138 against it. Under the new rules, Algeria, Morocco, Tunisia and Georgia would be presumed to be safe countries, making it very difficult for their nationals to apply for asylum in Germany. The draft law, however, still has to gain majority support in the Bundesrat, where several Green Party members in particular continue to block the passing of the law citing the poor human rights records of Tunisia, Algeria, Morocco and Georgia. The Bundesrat already rejected a draft law to add the Maghreb states of Morocco, Algeria and Tunisia to the safe list in 2017. It is widely expected that when the draft is brought before the Bundesrat, it will fail again. People who come from countries classified as "safe" by the German government are far less likely to have their application for asylum in Germany accepted. The classification, part of the 1993 Asylum Act, is primarily intended to help speed up asylum decisions by German authorities. Critics say, however, that the purpose of the classification is to reduce numbers of asylum seekers and to send a signal to these countries that embarking on dangerous journeys to seek asylum in Germany is not worth the risk. The German Basic Law defines "safe countries of origin" as ones where "on the basis of their laws, enforcement practices and general political conditions, it can be safely concluded that neither political persecution nor inhuman or degrading punishment or treatment exists." The law prohibits deportation if individuals are threatened with capital punishment or torture in their country of origin, or if their life or freedom is threatened because of their race, religion, nationality, political opinion, or membership of a certain social group, such as gays and lesbians or women, who might face sexual violence. What is a 'safe' country? Countries deemed as "safe" by the German authorities thus far include all EU member states as well as a list of countries successfully adopted by both chambers of the German parliament: Serbia, FYROM (Former Yugoslav Republic of Macedonia), Bosnia-Herzegovina, Albania. Kosovo, Montenegro, Ghana and Senegal. The German government has also declared certain parts of Afghanistan as "safe areas," although the country as a whole is absent from the current list. There have been calls among certain politicians to add Afghanistan as a whole, as well as Pakistan, to the list of "safe countries of origin" following the same parliamentary procedures. Applicants from these so-called "safe countries" are still processed in the same way that all other applications are. However, if they are rejected, they are only given one week to appeal the decision before being labeled for deportation. If they choose to appeal the rejection, the failed asylum seekers have to prove they face persecution back home. The proposed changes to the law, however, would have little effect on Germany's overall migration patterns if they are ratified by the Bundesrat. The four additional nations already make up only a small percentage of all successful asylum applications, according to statistics from the Federal Office for Migration and Refugees (BAMF): In 2017, Germany granted asylum to only 4.1 percent of all Moroccan applicants, 2 percent of Algerians, 2.7 percent of Tunisians and 0.6 percent of Georgians. This implies that the majority of asylum applications are denied based on the presumption that their countries. 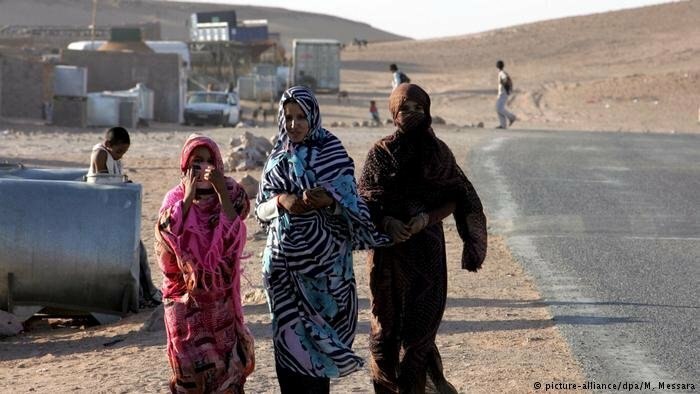 Critics of efforts to put the Maghreb states on the list say that torture, political repression and insufficient respect for human rights, including LGBT rights, are still very prevalent there, making any classification as "safe" highly questionable. If the Maghreb nations and Georgia should be deemed "safe", the German government will still have to reach bilateral agreements for successful deportations to all these states, which thus far have largely been reluctant to work together with the German government with regards to asylum-related issues and deportations. 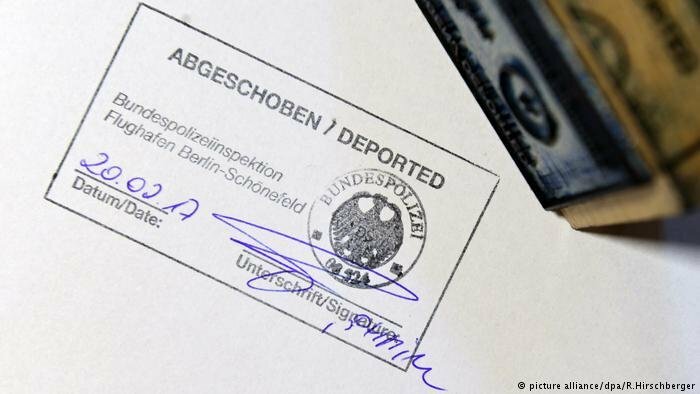 Even then, asylum seekers still have to provide proper identification documents to actually be deported.